Comments and questions should be relevant to the specific Space Show program. Written Transcripts of Space Show programs are a violation of our copyright and are not permitted without prior written consent, even if for your own use. We do not permit the commercial use of Space Show programs or any part thereof, nor do we permit editing, YouTube clips, or clips placed on other private channels & websites. Space Show programs can be quoted, but the quote must be cited or referenced using the proper citation format. Contact The Space Show for further information. In addition, please remember that your Amazon purchases can help support The Space Show/OGLF. See www.onegiantleapfoundation.org/amazon.htm. Welcome to our two hour four minute Open Lines discussion for this last Sunday in January 2017. During the first segment, I offered several suggested topics including new information on what might have caused the dinosaur extinction, an announcement of an ESA suggested Lunar Temple project (see www.dailymail.co.uk/sciencetech/article-4162296/The-incredible-lunar-TEMPLE.html), and another announcement that there might be a cause and treatment for the much reported space vision problem. These suggested topics did not make it to our discussion. Instead, we talked about the Moon-Mars debate and took several phone calls on the subject, most of which focused on costs, what we might do on a lunar or Martian settlement, and our capability for either settlement mission today. Callers included John in Fort Worth plus several emails from listeners responding to John's comments. In this segment, I read an email from David in England asking me for my thoughts on climate change. I told him what I thought about it and several listeners during the show voiced their opinions on the subject. I pointed to several climate change guests that have been on the show in recent years. In the second segment, Marshall was our first caller who asked what we might do on either a lunar or Martian settlement saying that there was no business case at this time for either destination. He cited several examples of potential business cases for the future but stressed nothing was available today. I read a listener email from Mark asking if I had ever made retirement plans for when I stop doing the show. The simple answer was no. Mark also wanted to know my thought on what the last Space Show program would be about or who the guest might be. I confessed to Mark that I had never ever thought about that. I offered other related comments to Mark's question as well but there were no retirement plans or last show plans discussed at this time. None are planned either. Mark, go ahead and contact me again after another 3,000 or so shows, OK? Dr. Doug made several attempts to call us but his phone kept cutting out on him. He wanted to talk about getting beyond space mining as something we could do on the settlements but we did not hear back from him to further develop his comment. Kim called from Mexico regarding what we might do in the early settlements. We had an interesting discussion. Also, Kim did not discount serendipity from happening and said while we cannot really expect it, we should be prepared for it. Near the end of the program, we heard from Adrian in San Diego regarding earlier comments by listeners about Musk committing his net worth to his Mars plans. These comments by Doug, Jerry in Florida and Kim seemed to indicate Musk would put it all on the line to finance his Mars mission and rocket. Don't miss these comments and discussions. John in Freemont called to talk about the Al Globus low radiation Earth orbit that I mentioned earlier in the show suggesting that space tourism would be a major activity of that orbital space settlement. He also mentioned Moon Express had secured $20 million in funding for their lunar plans. The final email came form Dr. Doug following up on a comment he made on a recent show as to the expected Trump administration response should China attempt to nationalize or violate the OST regarding their lunar plans. Doug suggested we watch the Dr. Peter Navarro documentary film "Death By China" given Navarro was part of the space landing team for the Trump transition. If you have not yet seen this three year old documentary about China and American business, labor, and trade, you can watch it for free here: https://m.youtube.com/watch?v=mMlmjXtnIXI. The film runs 1 hour 20 minutes. Also, Dr. Navarro is a Democrat who is a business, economics, and policy instructor at the University of California Irvine campus. According to news releases, not only is he part of the space landing team for Trump but he is also a key trade advisor to the new president. 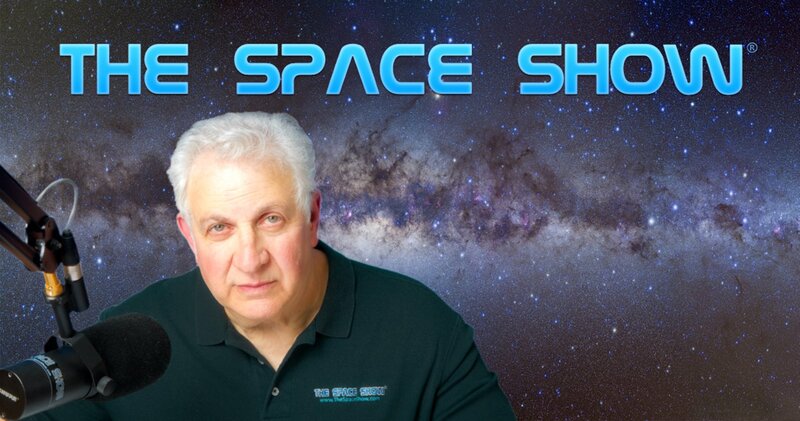 Please post your comments/questions on The Space Show blog for this show. You can reach any of the callers or those sending in an email through me. The topics you want to discuss, Ask Dr Space!